There are few worse feelings than coming home to a house that feels uncomfortable as soon as you walk through the door. Your home is the one place that you are supposed to relax and enjoy and the cool air that your air conditioning system supplies to you helps contribute to those good feelings. When your system is not working right, it can make life miserable for you and your family. 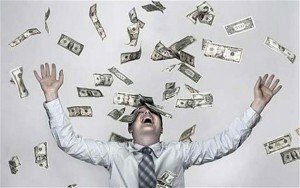 When something is wrong with your air conditioning, or you feel it is working incorrectly, you want to act right away. Getting air conditioning repair in Arcadia for your home can help keep your home comfortable for you. 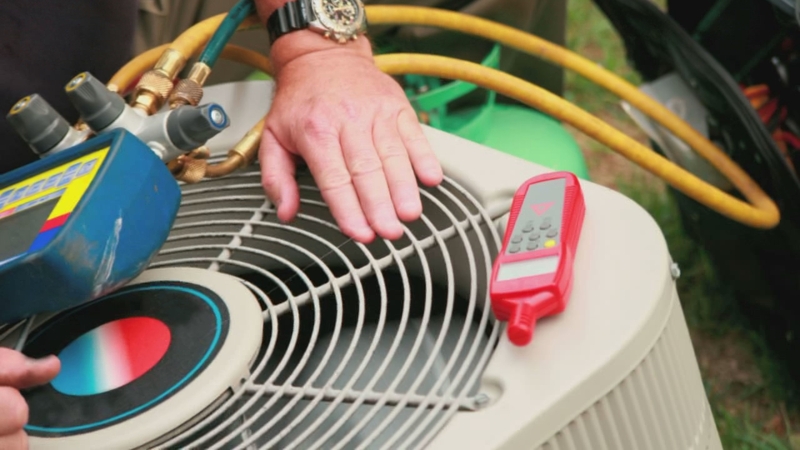 Your air conditioning system is just like any other major appliance or tool you own – if something is wrong, the problem will not magically correct itself and go away. Since you experience your system every day, you will notice even the slightest differences in the air flow or coolness of the air when something happens. Failing to act on a potential problem right away can lead to bigger problems for you. Very often a small problem that hinders the system needs an easy fix; however, if you let the problem linger, it can create more complex problems that can shut down your system or cause serious damage to it, requiring major repairs that can be costly to you. Professional air conditioning repair in Arcadia can be just what you need to help you find the problem and fix it. 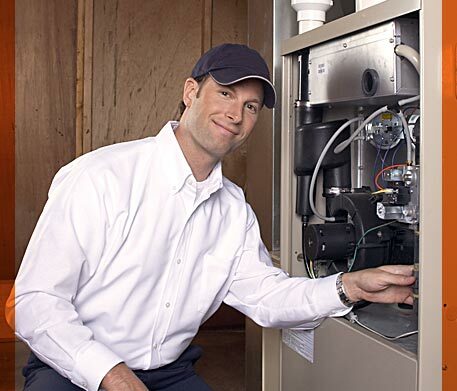 When you call us at American Clean Air and Heating, we can have one of our expert technicians out to you as soon as possible to analyze the problem for you. We have experience dealing with all the systems found today and can help diagnose a problem and provide you with the best solutions to fix it as quickly as possible. If you need air conditioning repair in Arcadia, make sure you call us at American Clean Air and Heating for the fast, reliable service you want. We can provide you with the maintenance and repairs your system may need so that you can have the clean, cool air you want in your home. Pick up the phone and give us a call at 818-406-6000 to arrange for an appointment with us so we can get your AC working right again. When you live in Southern California, there are fewer things more important to you than having quality air conditioning for your home. The idea of having to suffer through the heat and humidity even just for a few hours, let alone days at a time, because your AC is not working may seem unbearable to you. When something goes wrong with your AC, you need to be ready to take the proper steps to get it repaired as soon as you can. 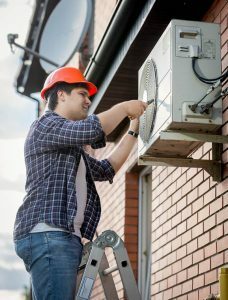 While some people may think they can save some money and try to do repairs on their own, you want to be sure you hire specialists like us for your air condition repair in West Hollywood. If you really want to make sure that your system is serviced the right way then you want to take the time to call a business like ours. At American Clean Air and Heating, we are a fully licensed and insured service so that you can trust that the work we will do for you will fix any problems and have your system running the way it should without any worries on your part. You want to make sure you hire someone that is properly licensed to do this type of work and carries the proper insurance in case of any accidents or problems so that you know you are protected. If you think doing the work itself is going to help you save money, you may be misinformed. 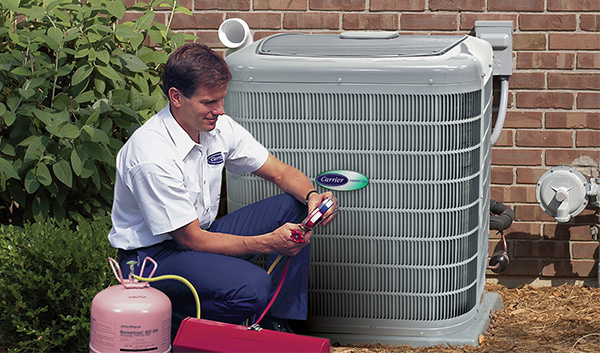 Our professional service will provide you with quality air condition repair in West Hollywood. Many of the HVAC systems today are highly technical and trying to perform repairs without good knowledge of how the system works can actually cause further damage, costing you even more money to have the system repaired properly or even replaced. We can provide you with expert technicians that have experience with all of the top brands and models so you can be sure to get the best repair work possible. 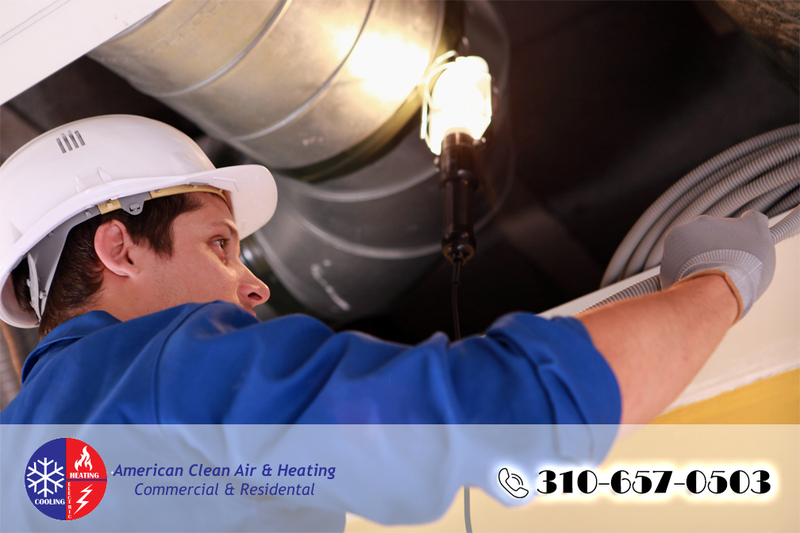 When you are in need of a specialist to provide air condition repair in West Hollywood, call us at American Clean Air and Heating at 818-406-6000 right away. We service many areas in the Southern California area and will provide you with fast, reliable repair service to get your unit providing you with the comfort you need at a very fair price. It is another hot spring or summer day and you walk into your home after a long day at work, looking forward to relaxing in your cool home and enjoying the evening in peace and quiet. The problem is that as soon as you open the front door you can tell something is wrong. The air inside your home not only does not feel cool but it feels just as bad as it does outside. You know immediately what the problem is – something has gone wrong with your air conditioning system. You had a feeling something was not quite right a few days ago but hoped it was no big deal. Now it could tu rn out to be an even bigger deal for you. That is why it is important that you turn to an AC repair company when you know something might be wrong. Unfortunately many people find themselves in the same situation you are in right now. All too often people fail to have regular maintenance and checks performed on their AC system to make sure everything is okay. They figure that if the system is running nothing must be wrong, so why pay someone to come in and say everything is fine? The problem is that regular maintenance is needed to make sure there are no hoses or belts wearing out, no filters that need to be replaced and that the system is up to par. Any one of those issues can cause your system to run at less than peak performance and make things worse over time. You might think that have a repair company in is costly just to have the maintenance done, but the fact is it will save you money. Keeping your system running in the best condition possible means it does not have to work as hard, saving you money on your utility bill. It also means that it will cut down on costly repairs that may need to be done because the system was not maintained properly. Do not let yourself fall into a situation where your system stops working completely. Take the time to forge a relationship with a local repair company so they can regularly inspect and maintain the system for you. This will keep everything running well and keep you cool when you want it the most.